W/C Fulton’s first step towards his dream of flying was at the Boeing School of Aeronautics in Oakland, California. He had also enjoyed the military life within the British Columbia Hussars; these two passions brought him to the RAF. On December 21st 1941 he became the first commanding officer of the 419. He had already participated with the RAF in many major missions over enemy territory prior to this posting. 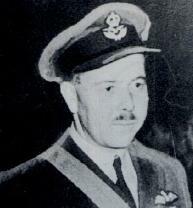 His cool demeanor during these missions and his soft spoken ways and mannerisms won him the respectful admiration of all ranks of the 419 squadron and became part of the legend of the man from Kamloops British Columbia with the nick name “Moose” which would later be part of the squadron’s emblem and name. The three entries below from the Operation Log of 419 squadron are from W/C Fulton joining the 419, his loss and the annoncement of Kamaloops adopting the squadron. The Ops Log seems not to have the page on which that shows X3488 taking off on it's final mission. On his final misson on July 29 1942, W/C Fulton and his crew were part of an early morning raid on Hamburg that found all the aircraft on this mission to be fighting the elements of nature as much as the enemy fighters. Heavy icing as well as thick overcast skies forced a number of the bomber force back to their bases. More of the story of the last flight of X3488 can be found in the Wellington section of "Downed Aircraft"
His loss can as be seen from the entry in the squadron log was wide spread and deeply felt. 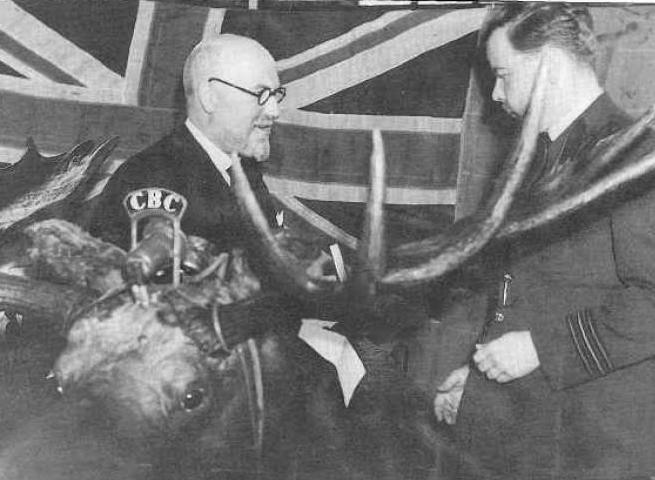 He was a man who commanded such respect that men who were to join the squadron in the years long after he was gone were still proud to be called “Moosemen”. Was awarded in September 1940 for his courage and brilliant leadership in the active operations he had taken part in. Citation reads: "This officer has taken part in twenty major operations over enemy territory since early in June, 1940. On the night of 15th September an attack on the marshalling yards at Brussels was frustrated by the failure of the starboard engine and he turned for home. Later, however, the engine functioned normally and Squadron Leader Fulton decided to resume his mission. He made two successful attacks from 11,000 feet straddling the railway junction with both sticks of bombs. 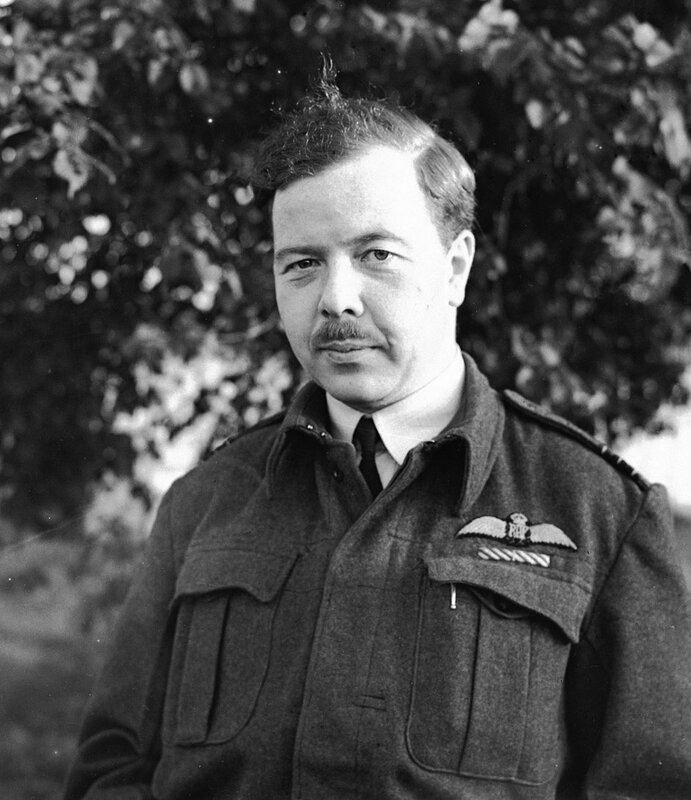 By his persistent determination, outstanding skill and devotion to duty in the face of heavy opposition and many set-backs, Squadron Leader Fulton was able to complete his task." This test pilot has had two tours of duty with the experimental section, interspaced with a period of operational flying during the course of which he was awarded the Distinguished Flying Cross. During the first posting to the experimental section he was in the research department flight at Exeter in the days when impacts into balloon cables first began in earnest. He carried out 38 actual impacts into cables, two of which were of unusually original nature in Wellingtons. He also carried out very successful and important de-icing work in Blenheims and Harrows. Since his return to the experimental section he has been successful in completing a large number and variety of experiments, particularly at night, in connection with aids to night flying. He has set a splendid example and has shown initiative, determination and couragewas awarded for rendering outstanding service as a test pilot at RAF Experimental Section at Farnborough in January 1942. Was awarded on August 4th 1942 for his work in the raid on Kiel when Wellington X3488 he was flying was seriously damaged at an altitute of about fifteen hundred feet and then lost height. Fulton appeared to be very calm at the controls as he flew over a hundred miles just feet above the North Sea. Citation read: This officer has participated in attacks on industrial targets, dockyard towns, aerodromes and other important enemy targets. On one night in April 1942 he successfully attacked Kiel. On the return journey his aircraft was attacked by an enemy fighter whilst flying at a height of 1,500 feet. Wing Commander Fulton's aircraft sustained much damage. One blade of the port propeller was shot away, the rear turret completely shattered and the rear gunner wounded. The hydraulic system was damaged and many of the aircraft's instruments were rendered unserviceable. The damaged propeller caused intense vibration. To offset this Wing Commander Fulton decided to continue the journey on one engine. The aircraft would not maintain height, however, an descended to some twenty feet above the level of the seas. Wing Commander Fulton was compelled to restart the port engine and he succeeded in regaining height. The vibration recommenced and continued in an alarming manner until the base was reached where an excellent landing was made with the undercarriage retracted. This officer's skill and determination was responsible for the safe return of his damaged aircraft and his crew after a hazardous flight of some 118 miles after the aircraft had been attacked. The award was announced in the London Gazette just weeks after his death.